I’d like to thank everyone for their support so far in my first blogathon, it’s going at a nice steady pace and I hope it keeps up through the next four weeks through to the end. We’ve got two new entries this past week so be sure to check out the blogathon main page to go see them, and there’s still plenty of room and time to sign up for the blogathon yourself. But as for my own entry this week, I went with one on the lower end of the spectrum, considering one of the roles is in what’s often considered the worst comic book movie of all time, I’m talking about Halle Berry who starred in the pseudo-Batman spinoff Catwoman, and also played a small-yet-ever-growing role as Storm in the X-Men series. Best (?) Line: The same thing that happens to everything else. Halle Berry’s comic book entrance is an interesting one. She got a small part as Storm in the first X-Men movie, and shortly afterwards she hit big with her Award Winning performance in Monster’s Ball, so when she re-appeared in X2, her role got moved up a couple notches, and shortly afterwards she got the lead role in a Batman spin-off, Catwoman. That would have been great except for a couple things. 1. They decided that they wanted to completely sever any ties to Batman, turning Catwoman into a completely different character whos only resemblance to the Batman villain is the fact that her name is Catwoman and she is a cat burglar. 2. The movie was completely awful with hammy and punny acting and a ridiculous plot. 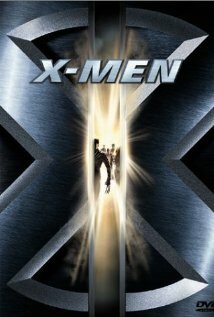 Miraculously, it didn’t stop her from getting bumped yet a couple more notches up in the third X-Men movie, except now looking back it was also a pretty bad movie. So much so that they didn’t continue on with that series. Though she is getting one more shot at the Storm role in the upcoming Days of Future Past, though I don’t think she’s anywhere near even 6th billing, probably more like a cameo role. As for the similarities between the two roles, they’re both pretty stiff and boring. But I do have to give her credit that she pulled it together and I think she grew into her role as Storm by the third movie. Unfortunately by that point it was too late and it had turned into the blockbuster machine. I don’t think she’s a bad actress at all and in a different world she might have been a good Catwoman, but it sure wasn’t here. Until next time, this has been Bubbawheat for Flights, Tights, and Movie Nights. Posted on April 8, 2013, in Blogs and tagged blogathon, movies, review. Bookmark the permalink. 4 Comments. It’s pretty much certain now that her role in DoFP will be a cameo… she’s just mentioned that with her pregnancy, they’re reworking the role so Storm won’t be flying or fighting in the film. Which doesn’t leave much. No big loss in my opinion. She was easily the weak link in the cast there. But at least she did better there than she did in Catwoman. I stand by what I said in my post here, I thought she grew into her role by the third film, but by then it was the movie itself that had problems. I honestly don’t remember her in the third movie, but I’ll admit that film’s problems greatly exceed anything Berry could have contributed on her own.